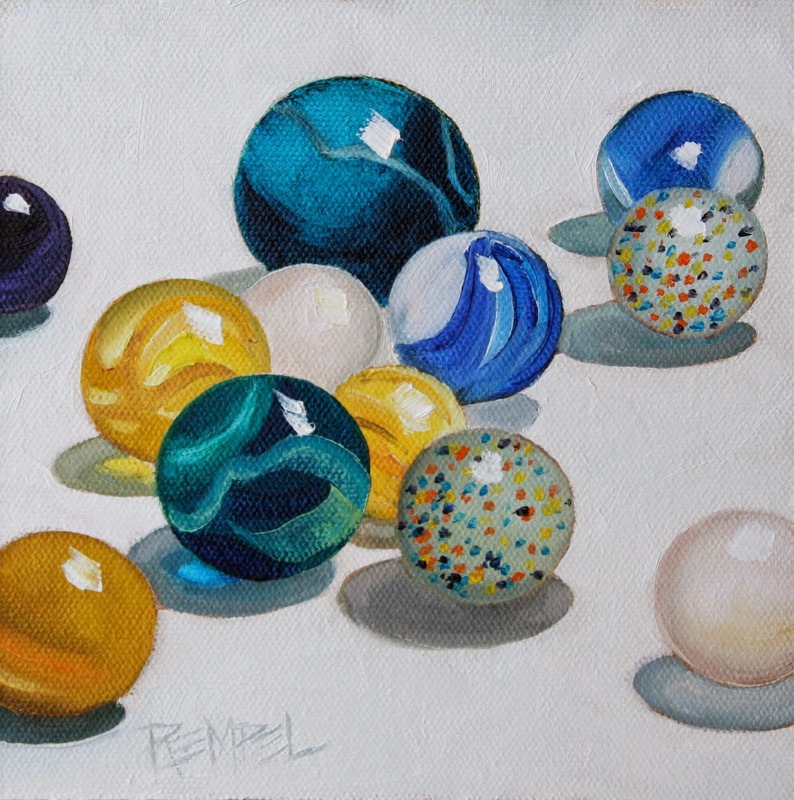 Now I want to go marble shopping : ) I'm enjoying painting these but as you can see I only have a select few and I'd like to explore some other colour schemes. I think a trip to the thrift shop is in order. Cette dernière est très harmonieuse. Chacune de ces billes attire mon regard agréablement. Gorgeous. I love the colours.